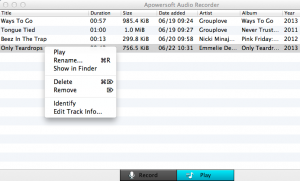 Apowersoft Audio Recorder is a Mac app developed byApowersoft. If you’re looking for an audio recorder that has an attractive interface and a robust array of features, this app is well worth considering! Apowersoft Audio Recorder for Mac allows you to to record audio from any internal or external sources. 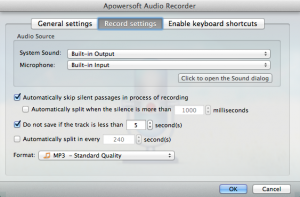 You can save the resultant audio file in a variety of formats, such as M4A, MP3, AC3, AU, M4R, or AIFF. After you record sound on Mac, the ID3 tag identification tool helps you fill in the blanks for title, artist, album, size, year, format and genre. Without question, the best part of this app is the interface. It’s really easy to switch between recorder mode and the library view. I’ve tried a lot of audio recording apps in my day (I find them useful for recording audio interviews), and this has one of the best interfaces I’ve seen. If you want to record streaming audio from your favorite online radio station, this is a great app to consider. One feature that makes this app ideal for recording audio on a schedule is the “Create schedule task” feature. This enables you to pick a time, date, and source for making a recording. 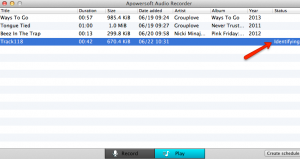 With just one click, you can quickly rip audio from YouTube, Pandora, Spotify, iTunes, Skype, or even a QuickTime Player. 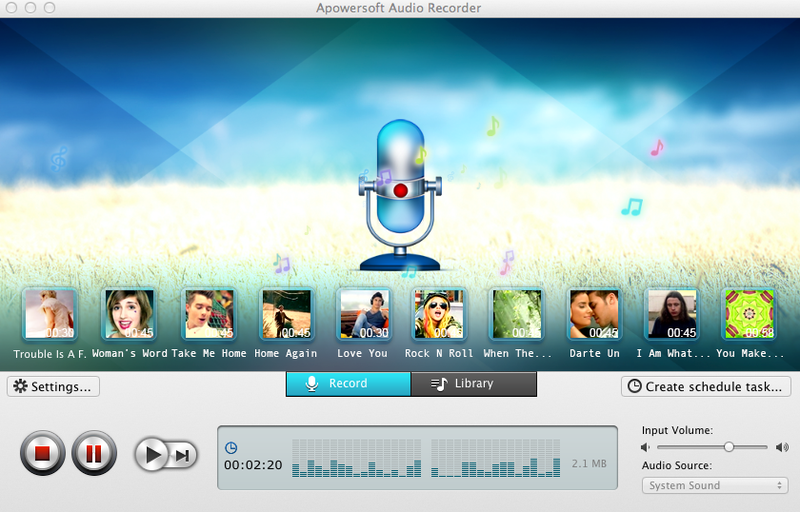 The full version of Apowersoft Audio Recorder for Mac costs $39.95. However, the trial version allows audio recording for up to 3 minutes, allowing you to try out the app for yourself. Your purchase of the full version entitles you to free lifetime tech support and a 30-day money back guarantee. Overall, this is a solid app with a gorgeous interface. 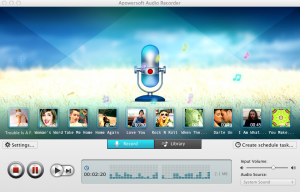 Between the interface, the features, and the overall quality of this app, Apowersoft Audio Recorder for Mac is a tool that will appeal to novice and experienced audio recorder users alike. Readers: If you want to try this software out for yourself, you are in luck! 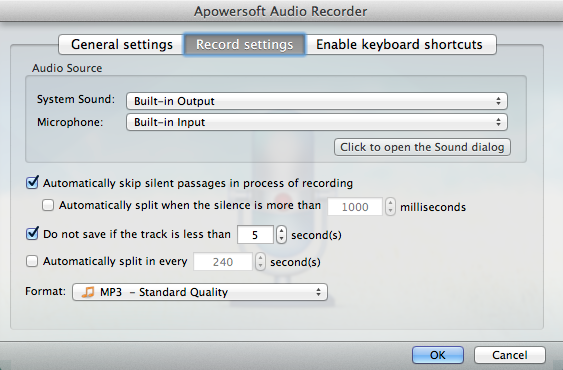 Use the code “giveaway” to get Apowersoft Audio Recorder for Mac for 30 percent off the normal price! 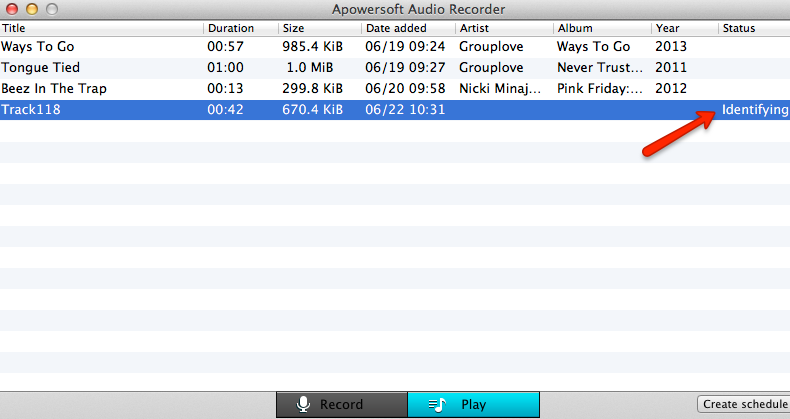 Apowersoft Audio Recorder for Mac requires Mac OS 10.6 or higher.